We have a full calendar of events for April. Since we are a little late getting the League started this year, there will be no practice/get acquainted month and the season will start the first Saturday in May. This means we will have a shortened six month season but all the rules remain the same. House Bill 786 Public Safety – Rifles and Shotguns – was voted on and passed by the Maryland House of Representatives. The Maryland Senate’s version of this bill is SB737. The Maryland Senate Judicial Committee is now reviewing SB737. SB737 in its current state will hurt our Juniors Programs and Gun Clubs by preventing the loan of a rifle or shotgun to a parent or club member unless it is during a practice while the “owner” of the rifle or shotgun is with the Junior or club member at the range while they are using the rifle or shotgun. SB737 would not allow a parent or club member to borrow a rifle or shotgun to enable them to travel to and from their home to take their Junior to the range for independent practice or to take the rifle or shotgun with them to local, state, regional or national competitions. Under this bill, Gun Clubs and Shooting teams would be forced to transfer ownership of the rifle or shotgun to the parent or club member through an FFL and pay a fee if they wanted to loan a rifle or shotgun to a Gun Club or Shooting Team member. Transferring ownership would create a nightmare of problems for the Gun Club or Shooting Team, not to mention additional expense of over $50 to transfer the rifle to a parent club member, then another $50 to transfer it back to the “owner”/Gun Club or Shooting Team. This is an expensive sport. It is a huge upfront investment for a club member or parents would not be able to afford. This is why clubs and shooting teams need to be allowed to loan/assign rifles or shotguns to the club member/parent of the Junior, so they can go to the range to practice as their schedule allows. We also need to allow club member/parents to travel with the rifles and shotguns to local, state, regional and national competitions. The current version of the bill does not allow you to store your guns with a neighbor for safety purposes or to prevent theft, with a friend or club member in the event of an emergency or family crisis, when you are having work done on your home or will be out of town on vacation or deployment. The current version of the bill does not allow for an instructor to loan or be loaned a rifle or shotgun to use for training purposes. Please take action against this terrible bill and contact your Maryland State Senator to ask that they vote against the Senate version of the Bill: Senate Bill 737. 1. Call your State Senator and ask to speak to someone about Senate Bill 737. 2. You can Email your State Senator. 3. Better yet, make an appointment and meet with your State Senator to discuss your concerns and protect our kids Junior Program from this bill. **You can email the entire Senate, the Senate Judiciary Committee or just your State Senator. Here is the legislative link to the Associated Gun Clubs of Baltimore that you can use to contact your Maryland State Senator: https://associatedgunclubs.org/email-your-legislators-agreement/. Mother nature bit us again with all the rainy weather and made the work area grounds unmanageable and unsafe to perform work with heavy equipment. Sorry for all the back and forth. This was out of our hands. Look at the bright side. We could be living in Nebraska under water instead. Please enjoy your weekend and be safe. 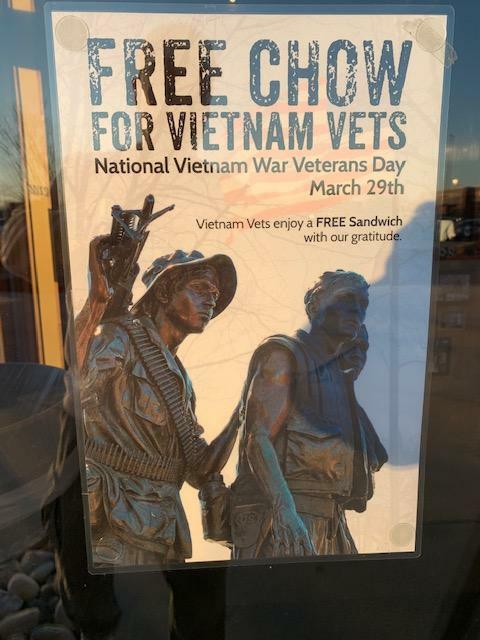 The Columbia Mission BBQ is honoring our Vietnam Veterans with free Chow on March 29th.